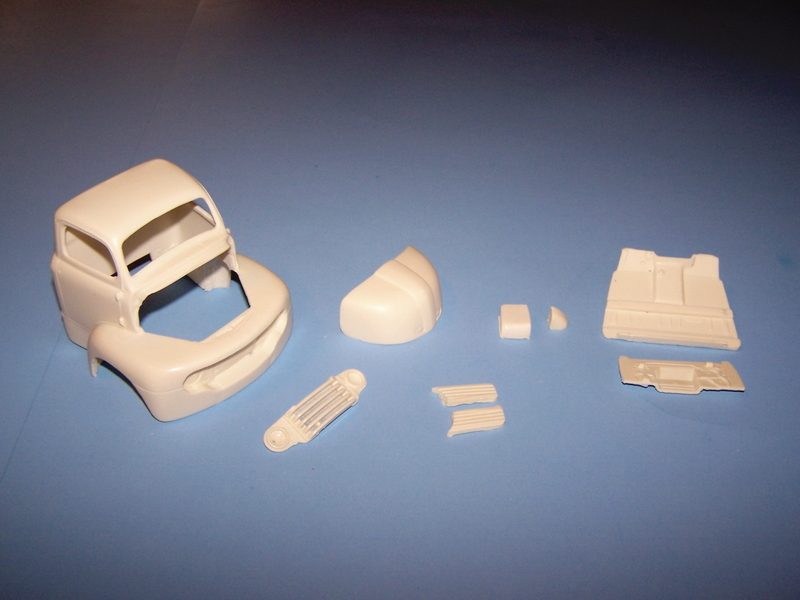 Includes cab, cab floor, visor, quarter fenders, front cab corners, cab mounts and over head console. 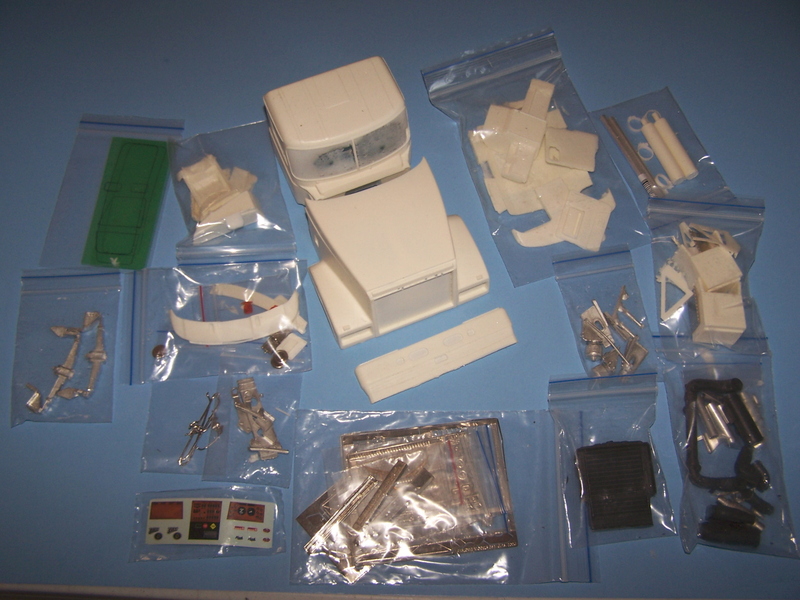 For use with Italeri Volvo VN 780 kits. 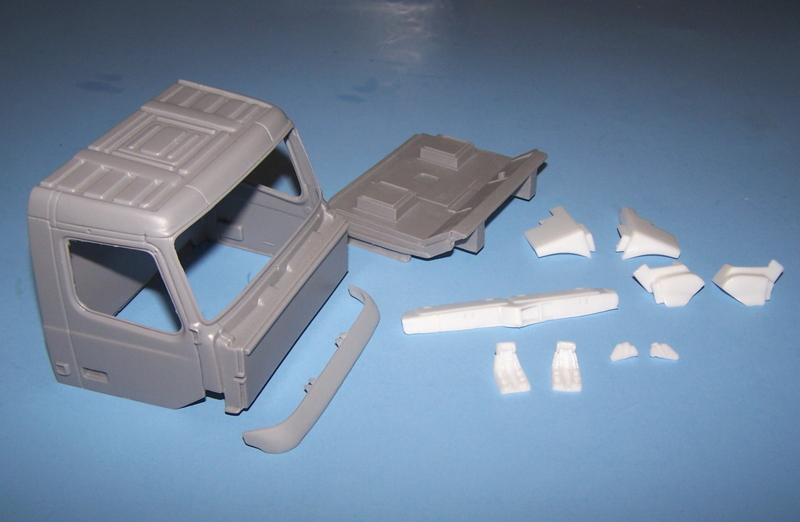 See below or our plastic kit section for this kit, along with package pricing when purchasing both cab conversion and kit. 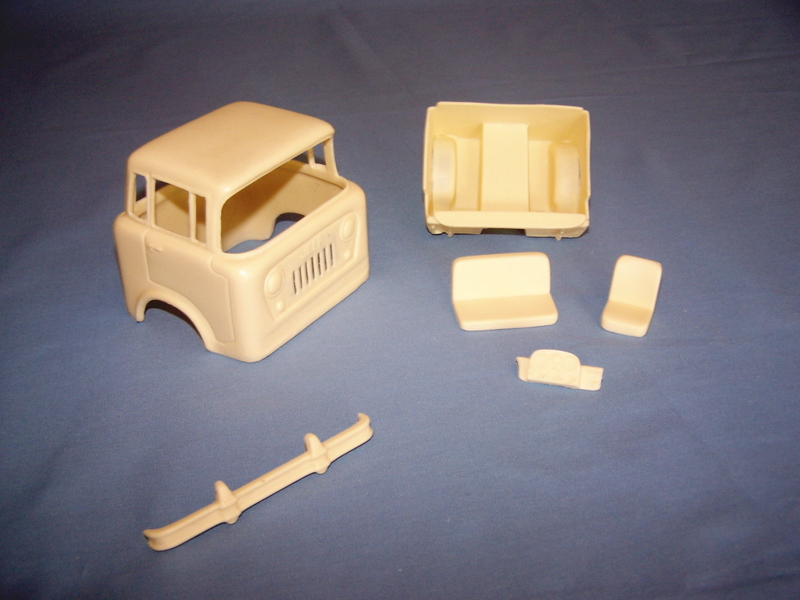 Includes cab, front bumper/grill, interior base and dash. Includes cab, Headlights, Interior tub, Bunk and R.H. Drive dash. 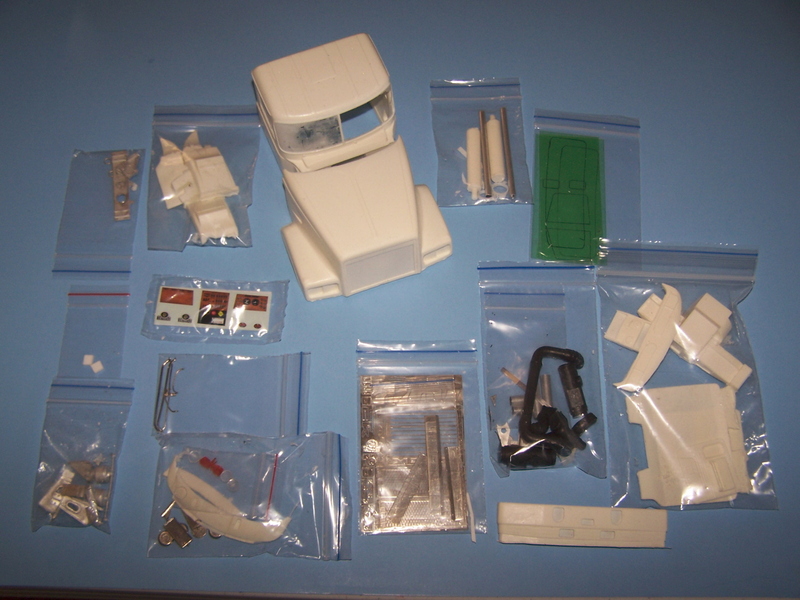 Use Mack Cruseliner kit as donor (see our Plastic Kits section) and Mack V8 from the DM 800 kit for road train applications. Resin cast cab conversion of the 12V-71-N Detroit Diesel powered CO-4090-A "Super Turnpiker"
Includes cab, correct grill, bumper, cab trim, door handles, headlights, front and rear cab mounts, exhaust stacks, extension pipes and engine mounts for our 12V-71-N engine kit. Along with radiator, shroud, shifter tower, air cleaner and piping. For use with CO-4070-A or B kits, 12V-71-N engine kit included, contact us if you would like this kit less engine. Includes cab, interior base, dash, bunk and headlight buckets. Use AMT Peterbilt kits (conventional or cab over) and Hendrickson suspension for tandem axle trucks. Good engine choices are Detroit Diesel 6-71N or Cummins NH230/NHC-250 non turbocharged from the Autocar kit. Includes cab, hood, floor pan, firewall, steps and grill. 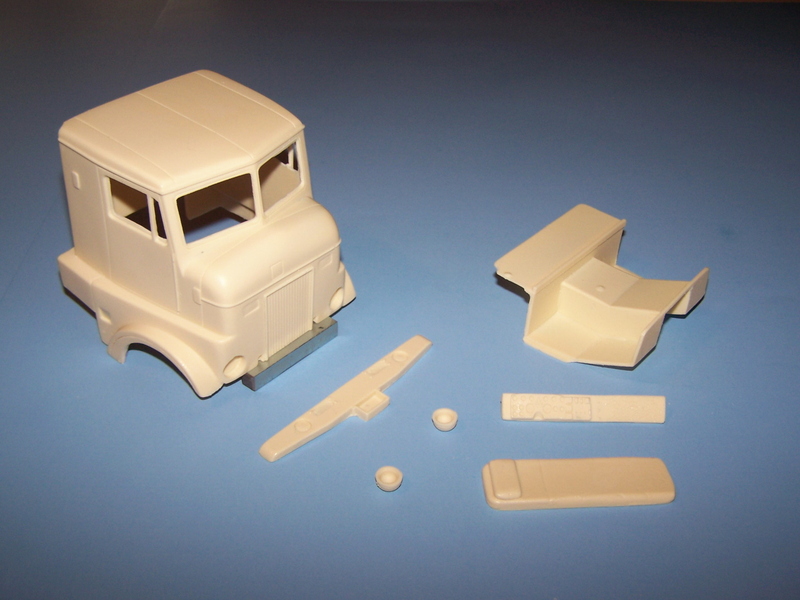 Use Monogram '50 Ford pick for engine and to finish cab. 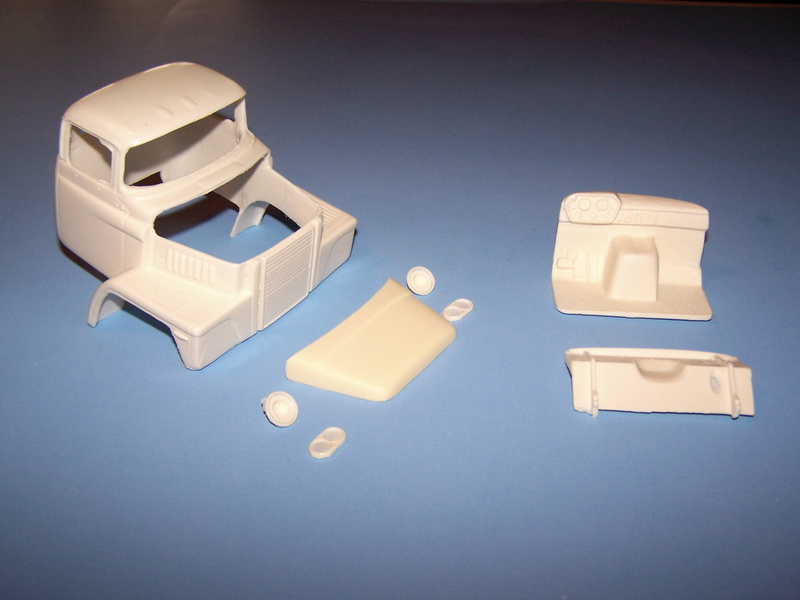 Use Monogram '50 ford pick up for engine and to finish cab. 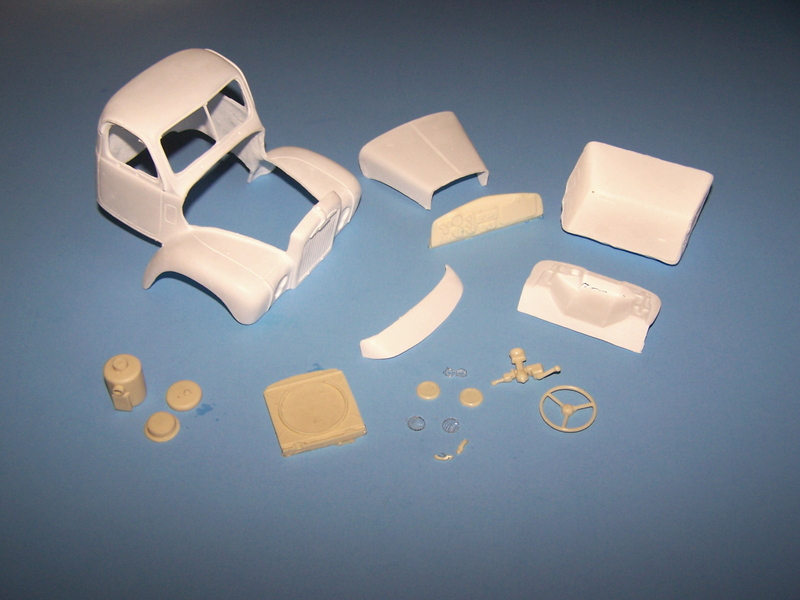 Includes cab, hood, firewall, dash, door panels, headlights, grill insert and emblems. Use Lindberg Dodge L-700 with some front frame modification. Includes cab, hood, firewall, dash, seats, interior panels, fuel tanks and emblems. 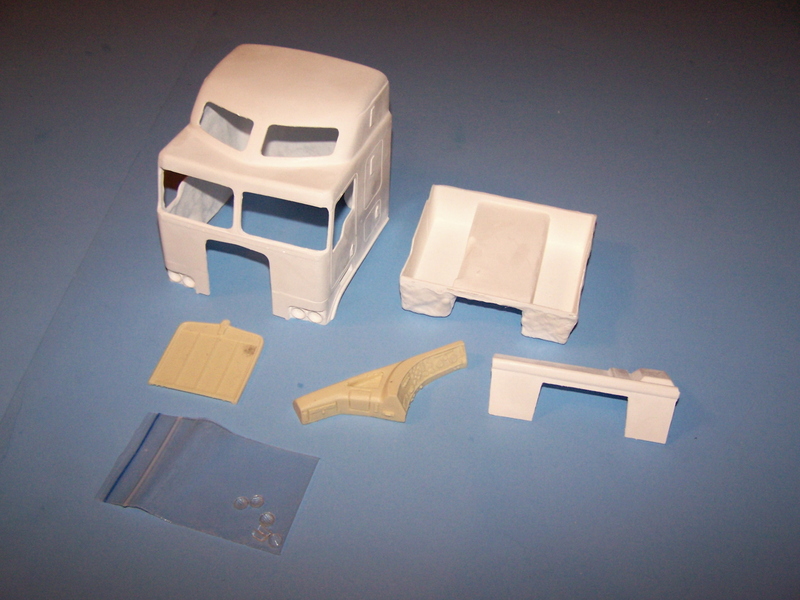 Use any 1/25th scale truck with straight frame and Hendrickson rear suspension, Cummins or Detroit engines. 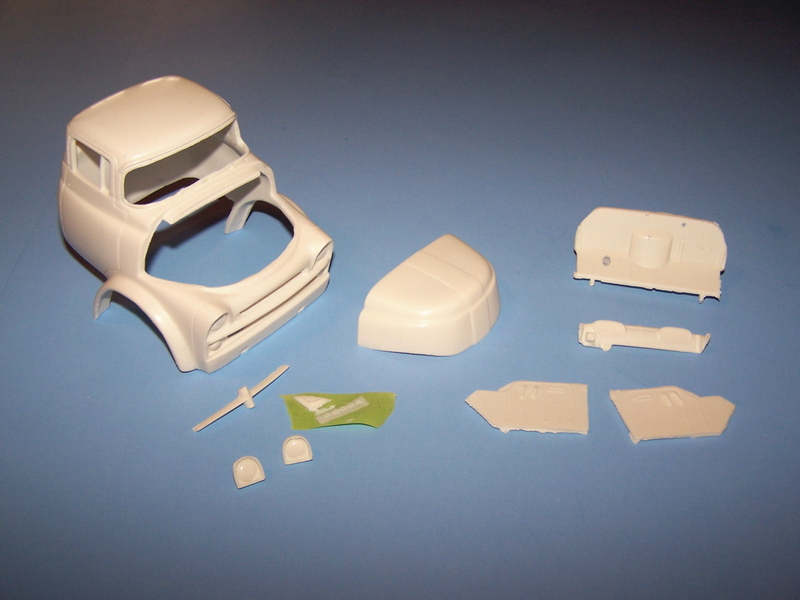 Includes cab, hood, floor pan and dash, 2 sets of headlights and emblems. Use AMT Ford LN or Lindberg Dodge L 700. L-700 will need some modifications to front of frame, but has correct axles and engine for gas powered truck. Includes cab and front end, hood, sun visor, door handles, headlights and bezels, air cleaner, interior tub, dash, fire wall and radiator. Use AMT Ford LN or LNT kit for donor. Mirrors, battery boxes, fuel tanks, engines, transmissions, drive axles and wheels also available. Includes cab, grill, headlights, R.H. drive dash, interior tub and bunk. 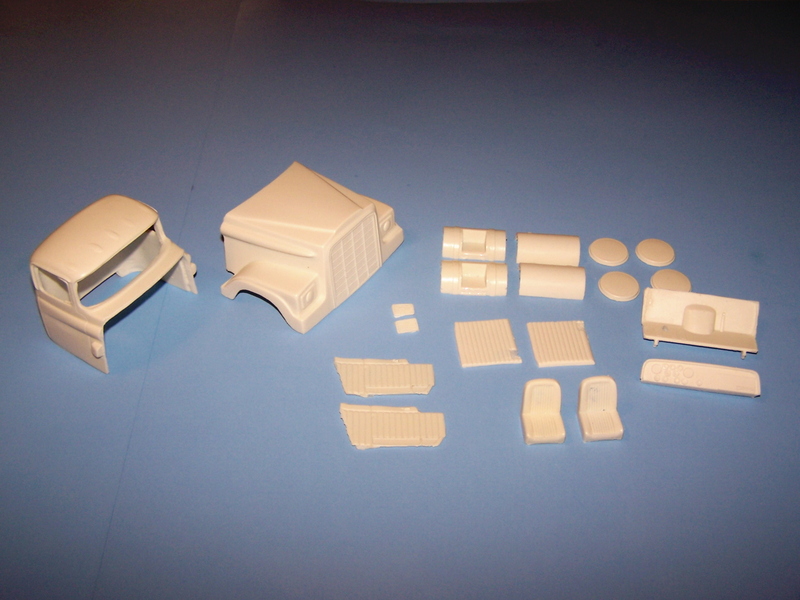 Use with AMT Kenworth Aerodyne or K123 kit. Includes cab, hood, bumper, 1/4 guards, cab mounts, photo etch sheet, exhaust, air cleaners, mirrors, visor, complete interior less seats, pre. marked sheets for windows and decal sheet. Also includes radiator, 2 tool boxes and HD white metal front springs. This cab is designed for use with sleeper, see our cab accessories for sleeper and day cab conversion. Mack E-7 engine also available. For use with Italeri 3814 Freightliner and 717 western Star. 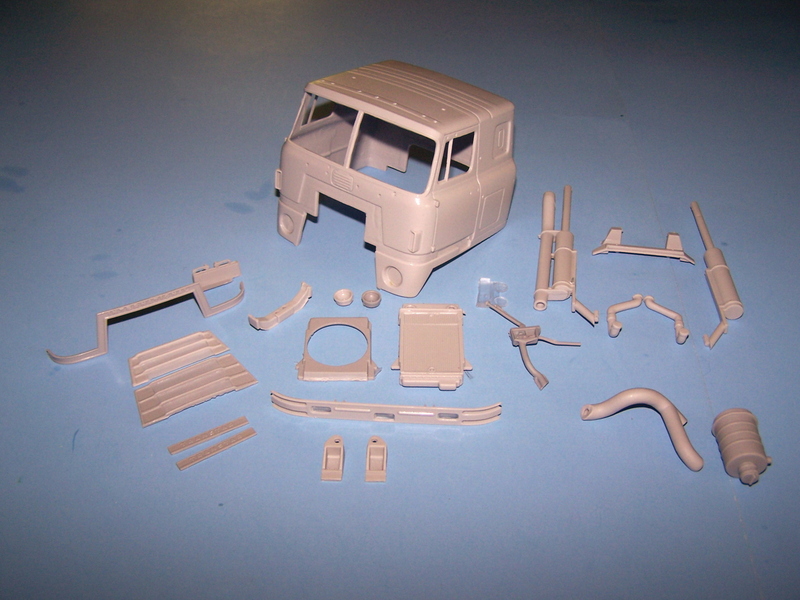 Can use most Italeri US type truck kits. Includes cab, hood, bumper, cab mounts, 1/4 guards, photo etch sheet, exhaust, air cleaners, mirrors, visor, complete interior less seats, pre. marked sheets for windows and decal sheet. 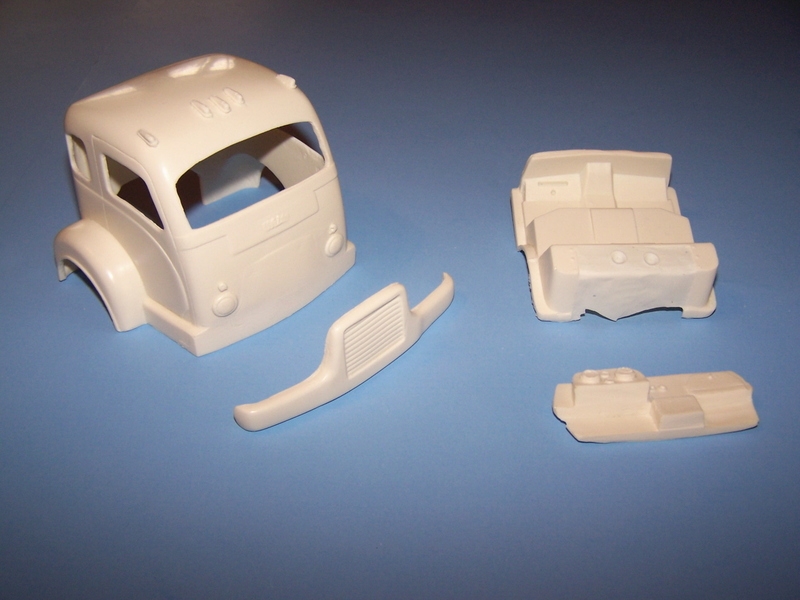 Kit is designed for use with sleeper, see our cab accessories section for sleeper and day cab panel. Mack E-7 engine also available. 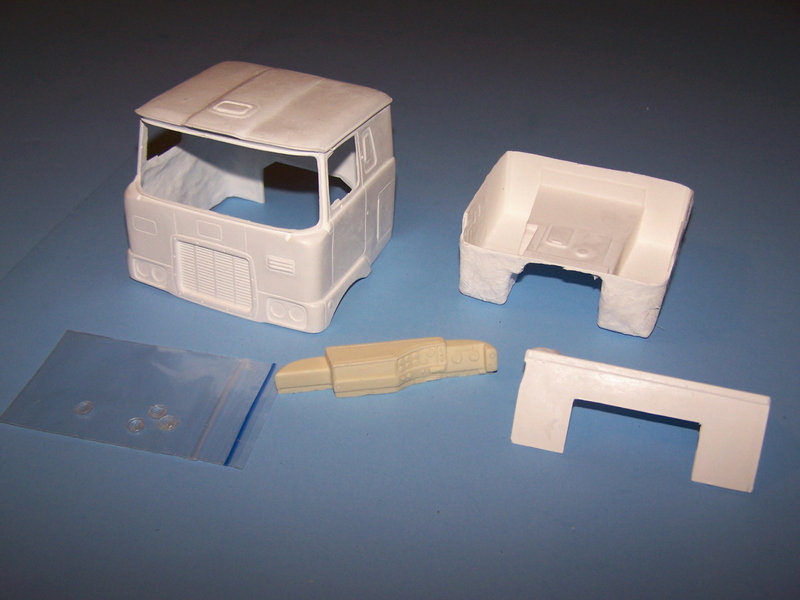 Resin cast cab Jeep Forward Control Kit. Includes cab, interior tub, dash, seat and front bumper.